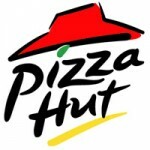 Pizza Hut also known as Pizza Hut Inc is one of the largest chains of restaurants that specialize in pizzas. The restaurants put forward many kinds of pizzas coupled with side dishes such as Buffalo wings, salad, garlic bread, breadsticks, and pasta. Yum Brands Inc is the parent company, which owns Pizza Hut. The company presently owns and operates over six thousand restaurants in U.S. and it also owns over five thousand restaurants that spread across 94 countries across the globe. The restaurants operate in a variety of restaurant formats and it is known for its Stuffed crust pizza. Other products include Dippin Strips Pizza, Thin N Crispy, and The Edge Pizza. I ORDERED TWO PIZZAS WHICH WERE DELIVERED ON TIME. WHEN MY FAMILY OPENED THE BOX AND WE STARTED EATING THE PIZZA I NOTICED SOME DARK SPOTS INSIDE THE CRUST. IT WAS AFTER I TORE THE CRUST OPEN AND TOOK A CLOSER LOOK THAT I FIGURED OUT IT WAS BLACK MOLD. I RETURNED THE PIZZA TO THE STORE IT WAS DELIVERED FROM AND THEY RELUCTANTLY GAVE ME A REFUND BUT DIDN'T SHOW MUCH CONCERN ABOUT WHAT HAD HAPPENED. NEEDLESS TO SAY I HAVE ORDERED MY LAST PIZZA FROM PIZZA HUT. I went to the pizza hut store in Oviedo,FL. on Saturday night 6-8-13 at about 6:45 PM . This store is 11 miles from from my house one way. I wanted to order pizza and was they can not take my order ,because are running out of dough. I told them they need to get a new manager because that should never happen in this business. I am a former Pizza store owner and offered to help them make a batch of dough if they had a dough machine. With the price of gas these days that is not good for business to turn customers away.